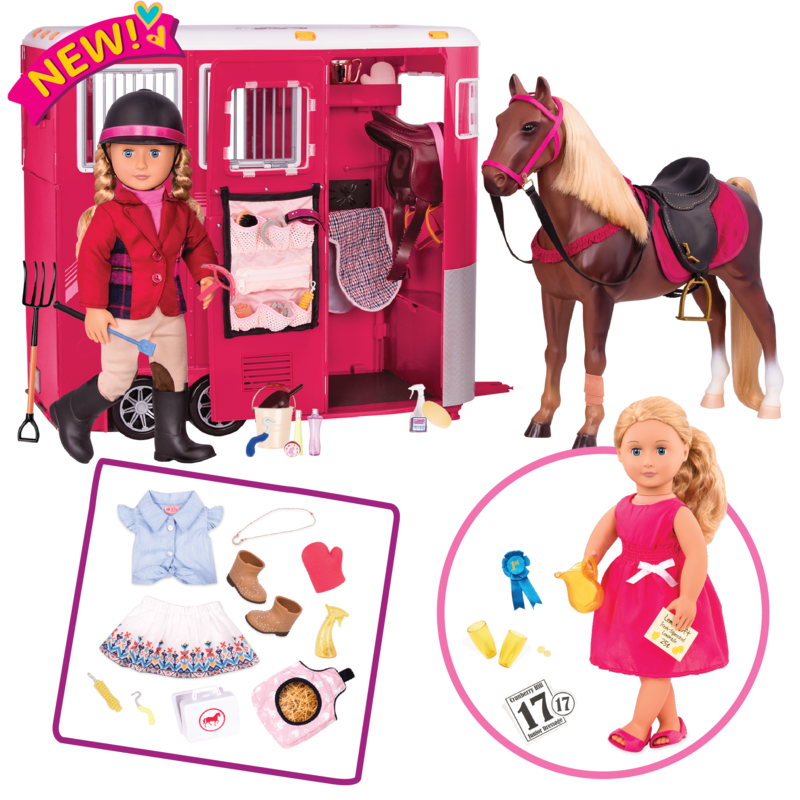 https://s3-ca-central-1.amazonaws.com/media.ogdolls/20190308211347/BD37123-Suite-Teepee-Pink-Stripes-AWARD.png Category: Fun and Adventure. Fall asleep under the stars with your favorite Our Generation doll. 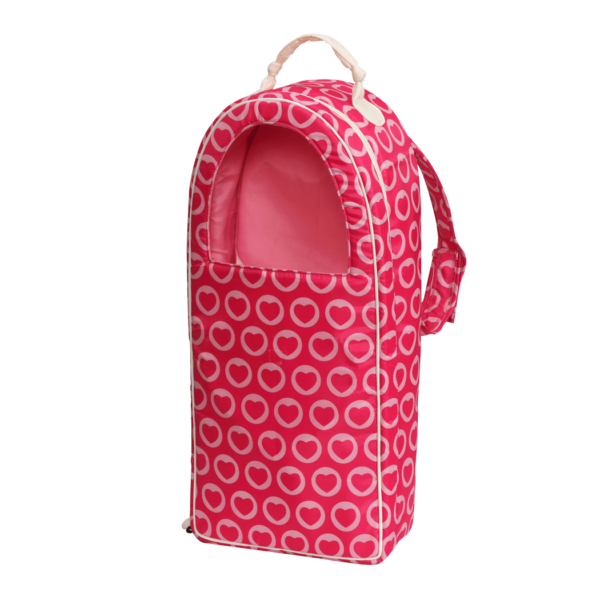 Or invite them all over for a camping adventure, it’s your call! 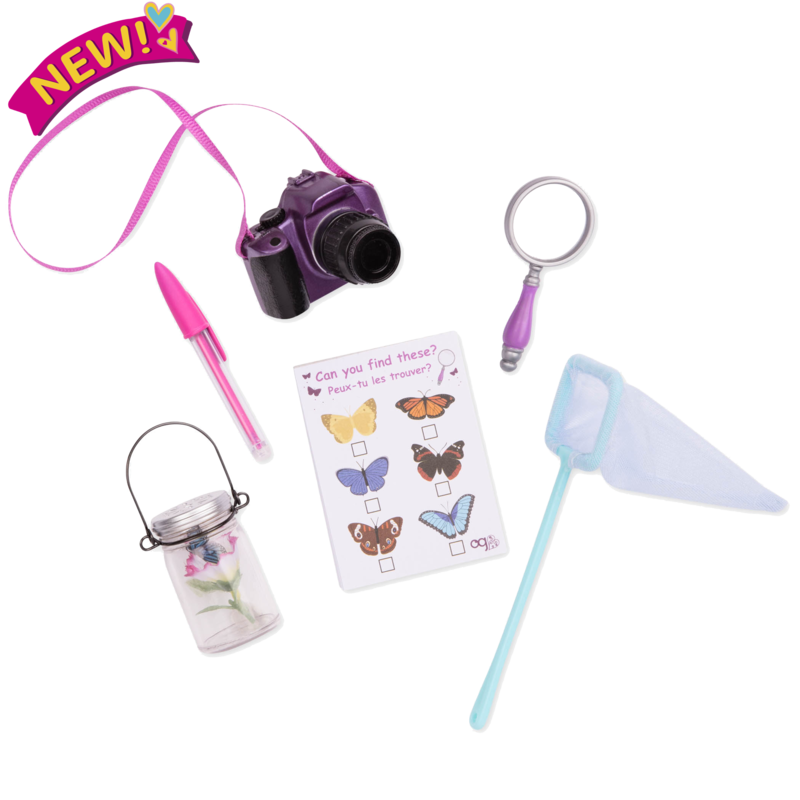 Enjoy sweet dreams with the Our Generation Suite Teepee, a delightful accessory for children to share with their 18-inch dolls. We’re having sweet slumber parties with our best friends (and maybe even getting some sleep in between rounds of giggling!) Whether you’re telling funny stories or sharing secrets under the starlight, the Suite Teepee is the perfect place to have all kinds of adventures. Nap time, snack time, story time… anytime is teepee time! 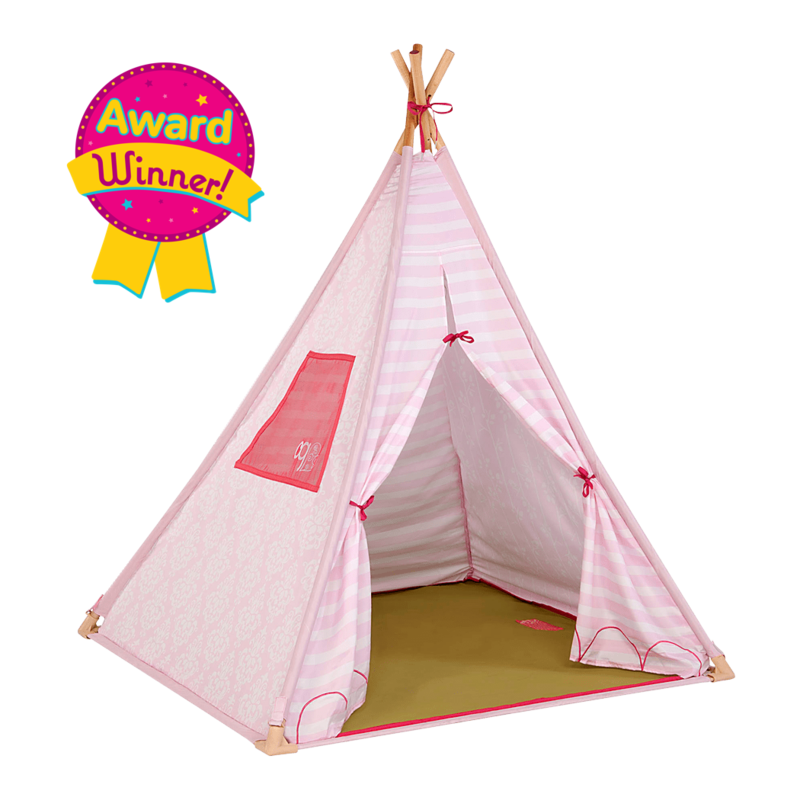 This easy-to-assemble fabric teepee is approximately 47.5″L x 47.5″W x 59″H, the perfect size for your child to share with a doll friend (or two!) 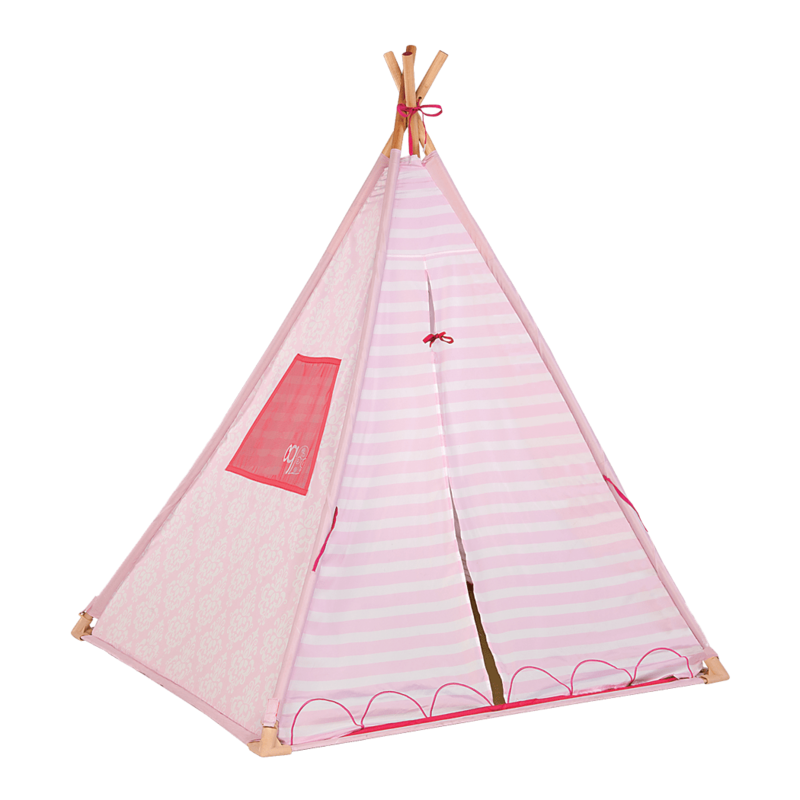 This attractive pink and white teepee is ideal for an indoor camping trip, a sleepover, or whatever adventure your child can imagine! 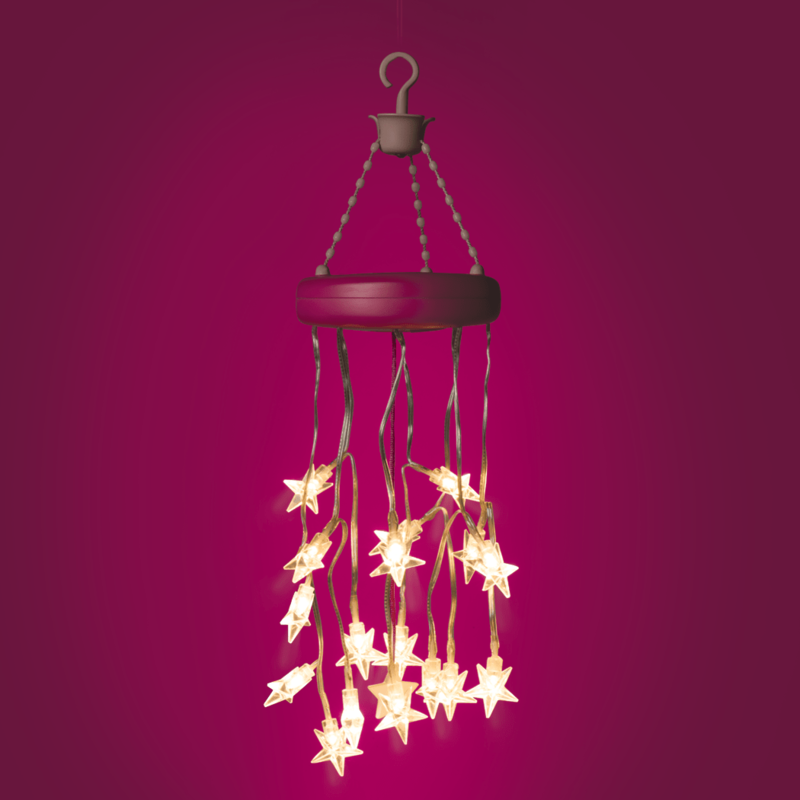 Your dreams will be even sweeter with the gorgeous glow of the starlight chandelier! Just hang it up inside the teepee on the loop, turn it on, and let starlight, star bright wish you a good night. 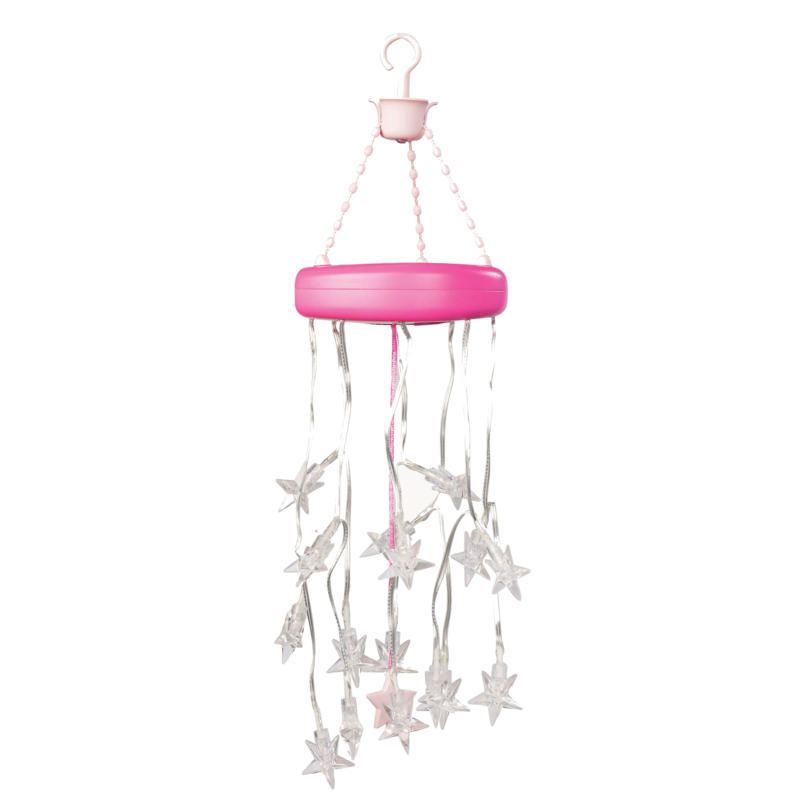 (It also makes a wonderful night light for those times when a little bit extra starlight helps you sleep tight.) 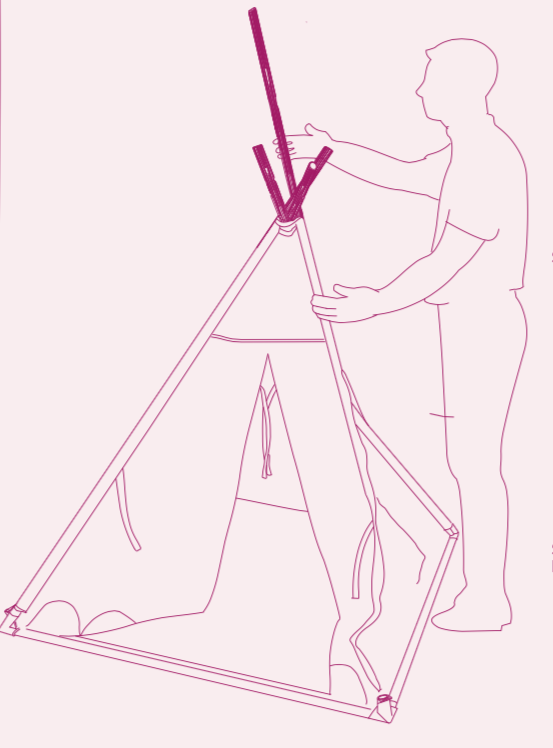 Tie back the teepee’s entrance with bright pink bows to welcome visitors. Have you met Jovie? 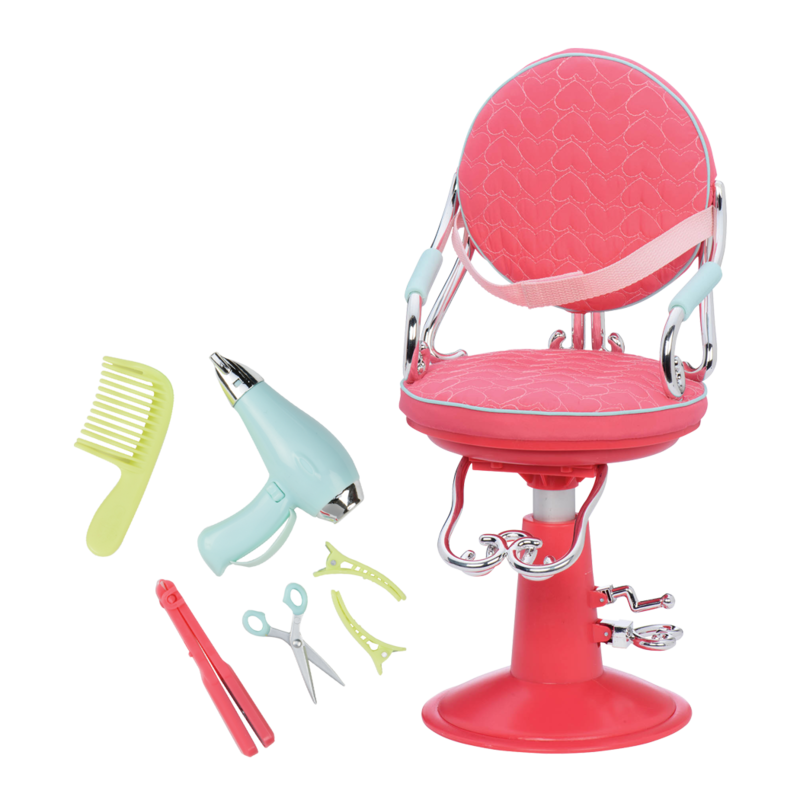 Jovie is a beautiful 18-inch doll who has blonde hair with bangs and green eyes. Jovie LOVES sleepovers!